Technology research specialists Canalys believe that if HP reintroduced its TouchPad tablet, the value of its PC division could be doubled – if not tripled – the company said in a recently published research note. HP’s decision to axe production of its webOS smartphone and tablet devices in August immediately followed an announcement that the computer maker was looking to spin-off its PC business to focus on enterprise clients. As a result, HP slashed the price of its TouchPad tablet to $99 in the US and £89 in the UK, seeing demand rocket for the device. Canalys said in its research note that the tablet was overpriced at launch and did not sell, leading HP to “prematurely [conclude] that the product category had failed”. However, the price cut helped to make the TouchPad one of the hottest products in HP’s range of consumer electronics, “gathering more interest than anything from HP in more than 10 years”. 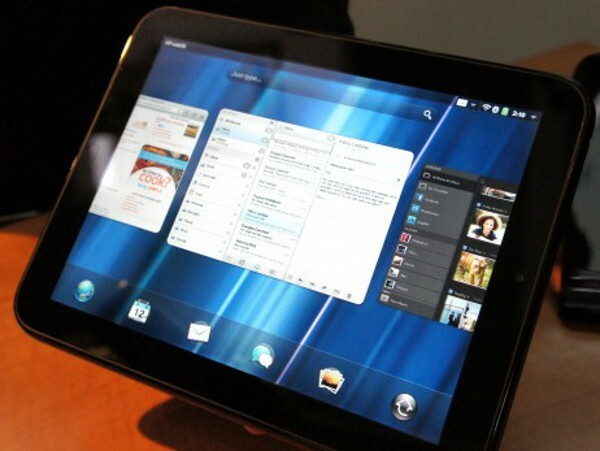 “The TouchPad has become the ‘must-have’ technology product of 2011. Perhaps no other technology vendor, apart from Apple, has ever created such hype for a technology product,” the research note said. With a more aggressive pricing strategy, the hype around the TouchPad could help HP gain around a 10% share of the tablet market, which could double or triple the value of the company’s PC division, currently valued between $8 billion and $10 billion. Despite the huge demand for the TouchPad, the tablet itself has not come in for favourable reviews when compared to its Apple and Android rivals. Developers have already begun porting Android to the TouchPad, aiming to extend the capabilities of the tablet and bring more apps, services and support to the device. The TouchPad’s components are also said to total around $200, so for the company to break even it would need to sell its tablet double the price when it was part of a firesale. That, and the impending launch of Amazon’s Android tablet, would make it difficult for HP to secure a 10% share of the market. A low price and an Android port could help drive demand for the device but we believe the Canalys report is a touch optimistic, given the fact that other tablets from Motorola, Samsung and RIM have only made small inroads into sales of Apple’s iPad.